and we need superheroes like you. But who are we? 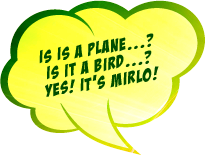 What’s all this about Mirlo? Have a look here. In fact we need there to be of us! You’re here because someone thinks you’re a hero too, just like Mirlo, and that you’re perfectly capable of undertaking this mission. You can make it happen! It’s time to plant trees at last! Any purchases you make from now on will be dedicated to the 2014 Corona Forestal project. Transform your own footprint into a positive one - today! Visit store.mirlo.co and purchase whichever Positive Nature pack you prefer: you decide how much you want to contribute and the aspect of your daily life that you would like to transform. Spread the word about this campaign and help it become a high flyer! Share this campaign microsite in your social networks and with your friends so that the information reaches as many people as possible. We’ve also created some really nice posters that you can print off at home and some banners you can post on your blog or in your website. Go one step farther and be a genuine superhero. With great power comes great responsibility! Make a personal commitment and join us in creating a great band of mirlos. Choose three friends and convince them to become mirlos and to take part in the campaign and to become another important link in the chain. Call them on the phone, send them an email, write them a message on WhatsApp, buy them a coffee… Whatever method seems best to you will be just great and to make things easier for you we’ve drawn up a template you can use. 29 hectares / 71 acres this year. What happens if we don’t achieve our objective? That won’t stop us, we’re going to be planting right from the very first Euro. The agreement we signed with the Tenerife “Cabildo” for the Corona Forestal project allows us to start re-populating the area with whatever amount we manage to raise and until we achieve the objective. 1) You’ll begin to transform the negative environmental footprint you generate on a day to day basis into a positive one. 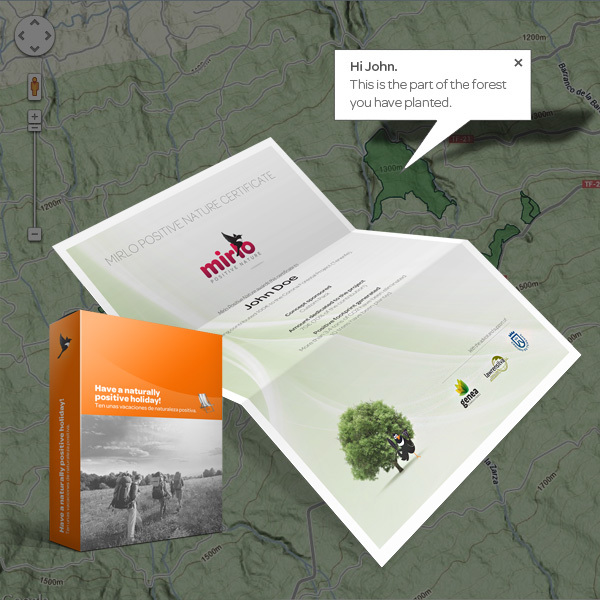 2) You’ll receive a certificate of the forest you have helped to create. ¹ We’ll keep you up to date with how the forest takes shape by sending you emails and through our social network channels. ² Our agreement with the Tenerife Local Government (“Cabildo”) is that they ensure the forest we plant will remain intact for at least 180 years. ³ The price of the packs does not include a trip to the operational area. If you decide to go to have a look, you can do so on your own or by joining one of the excursions that we will be offering in due course. I really want to leave a positive footprint on the planet and that’s why I’ve decided to become a mirlo. I’m taking part in Mirlo Positive Nature’s Corona Forestal project, we’re going to make a forest grow from lots of small contributions from lots of people. But if we are to achieve the objective we’ve set ourselves for this year then we need more heroes like you! Why not do your bit by taking part in this project – your planet needs you! Here’s a longer version, if you’d like to be able to explain a bit more about us. Hi [Name of your friend]! I really want to leave a positive footprint on the planet and that’s why I’ve decided to become a mirlo. I’m taking part in Mirlo Positive Nature’s “Wanted! 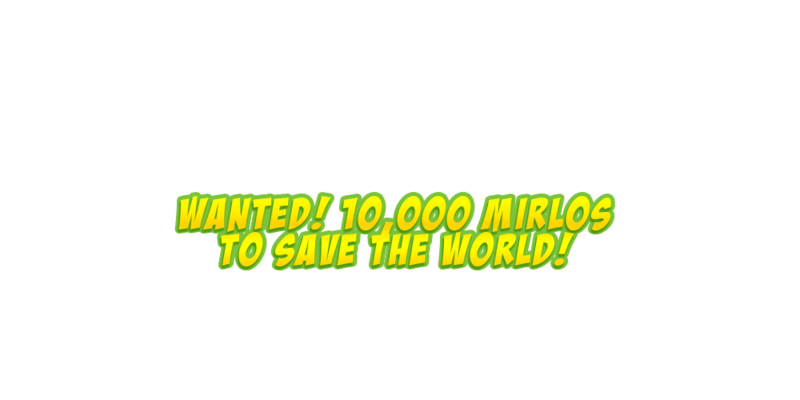 10,000 Mirlos to Save the World” campaign which is going to make a forest grow from lots of small contributions from lots of people. By becoming a mirlo you can take part in all of this. Mirlo works through crowdfunding and right now they’re searching for the first 10,000 people so that their first project in Tenerife can become a reality. They intend restoring 29 hectares (which is about 71 acres) of native forest on the slopes of the Teide. And to do that they want to set up an enormous chain of mirlos. They’re asking everybody who decides to become a mirlo to encourage another three people to sign up as well, that way in just 8 rounds it should be easy enough to find the 10,000 people they need. This struck me as a really interesting idea and I thought that maybe you’d like to be one of my three friends. It’s really neat, it looks like a superheroes comic!